Wounded Warrior Program USA- CEO/National Director Dr. David Godbold to unite heroes to showcase their musical talents! The Support Team Dog Tag. You also get your name on the Support Team VIP Newsletter, you get Your Name on the WARRIORS Support team under the website, a social media post to say thank you for your support and *A Support Team Certified Certificate "Limited Edition Card". Laser engraved dog tag, you get a 24" ball chain. Also, you get A Shhh! No clinking cover with the order. Dimensions 1.12" W x 2.00" H.
You also get your name on the Support Team VIP Newsletter and you get "Your Name" on the WARRIORS Support team under the website and a social media post to say thank you for your support! This is the OFFICIAL SHIRT of Warriors The Album! Veteran Event Coordinator for Warriors The Album & SC Entertainment & Music Hall of Fame. 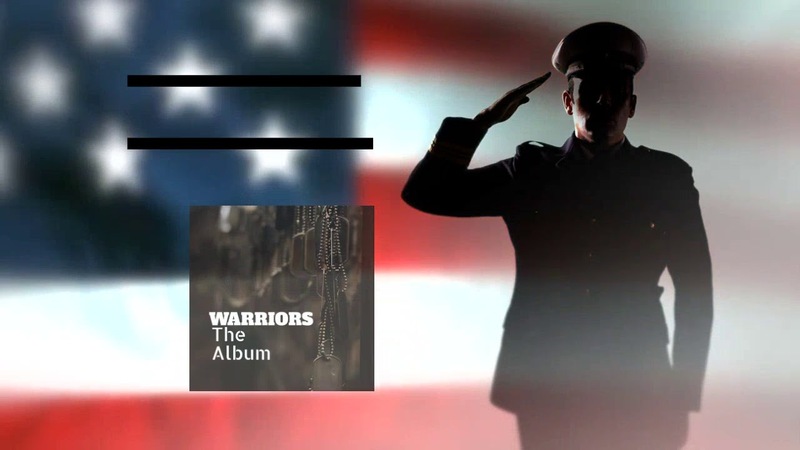 Warriors The Album is a South Carolina Entertainment & Music Hall of Fame Production, non-profit 501(c)(3)pending 2019. Copyright ©2019 Warriors The Album. All Rights Reserved.